One of our recent posts, “Prescribing Intelligence: The Role of Data Analytics in Combatting the Opioid Epidemic,” focused on the usefulness of data within clinical decision support tools to help clinicians at the patient bedside. In that article, we made the key point that “analyzing and accurately indexing data” is a critical hurdle that must be crossed if big data is going to be useful for clinical care delivery. The opioid epidemic continues to wreak havoc on the public’s health, wellbeing, and its wallet. In recent years, the regulatory efforts to stem the crisis have significantly decreased opioid prescribing, but not without a cost. Clinicians who prescribe opioids are acutely aware of the regulatory oversight intended to cut down overprescribing, and this has stoked a “climate of fear” when prescribing. As such, patients suffering from chronic pain who have relied on opioid medications for years have reported that their physicians have either stopped prescribing opioids entirely or involuntarily tapered them to doses that do not adequately address their pain. The Opioid Epidemic at the End of 2018: Are We Making Progress? For those of us involved in the opioid epidemic as caregivers, patient advocates, and researchers, there was an interesting moment earlier this year when a series of news stories noted some optimism in the fight against overdose deaths. At AffirmHealth, we’ve directed much of our blog content towards safe and responsible opioid prescribing practices with an emphasis on the application of state and federal guidelines to daily clinician activities. On Monday, in a bipartisan move, the Senate overwhelmingly passed legislation aimed at combating the opioid epidemic. Ohio led the nation in opioid overdose deaths in 2014, and deaths have continued to rise with increased use of heroin and illegal fentanyl - fentanyl-related deaths surged from 75 in 2012 to 1,155 in 2015. This month the Center for Medicare & Medicaid Services (CMS) published new limits for high-dose opioid prescriptions for Medicare Part D users. The announcement is part of the 2019 Medicare Advantage and Part D Rate Announcement and Call Letter. The policy also follows the CDC opioid prescribing guidelines for primary care physicians released last year. High dosage thresholds outlined include parameters for prescriptions greater than 90 MME, which state a pharmacist should consult with prescriber and document the discussion. At 200 MME, a hard cap is implemented that can only be overridden by the plan sponsor. Additional guidelines for opioid naïve patients were also included, limiting initial opioid prescriptions to no more than a 7 days’ supply for the treatment of acute pain. With opioid prescribing regulations being updated, national policy announcements, state guidelines as well as daily commentary regarding the opioid epidemic flooding news outlets; the AffirmHealth Weekend Round Up looks at the top headlines that caught our team’s eye. From controlled substance protocols to research focusing on pain management, addiction medicine, the ER and more...provided to you in an easy to access summary. News you can use. Welcome to the Weekend Round Up. Managing pain patients can be a scary thing these days. It seems that every time I open the newspaper or check my email I read a story about a doctor getting into trouble of some sort or another related to prescribing opioids. There are cases of doctors being federally prosecuted and convicted of criminal charges, instances of physicians losing their medical licenses from state medical boards, and plenty of examples of providers getting dropped from insurance networks for having prescribing patterns that don’t line up well with the company’s metrics. As such, companies now examine claims data from insurance companies and measure the performance of healthcare providers relative to their peers or other set measures. These comparisons can then be used against those providers. In short, with constantly inscreasing regulations around prescribing and managing chronic pain, there is no shortage of ways to get into trouble when it comes to prescribing controlled substances. This past week, several of our nation’s public health experts testified on Capitol Hill before the Senate Health, Education, Labor, and Pensions Committee. They made the concerning argument that despite all of the effort and attention being cast on the national opioid epidemic, we are failing to make significant progress. In fact, we are continuing to lose ground and opioid related deaths continue to accelerate across the country. A few days ago, Mark Jarrett penned a provocative online op-ed on The Hill website, “Congress, take an Ebola inspired approach to the opioid epidemic.” He made several interesting points including the following: in 2015, the opioid epidemic claimed 33,000 American lives compared to 11,000 worldwide from Ebola from 2013 to 2016. During a period from 2014-2015, I was fortunate to serve as a White House Fellow and Acting Director for Pandemic and Emerging Threats at the U.S. Department of Health and Human Services and was intimately involved with the domestic and international Ebola response so I found this point particularly remarkable. Without question, the Ebola outbreak was a full blown international crisis, so it’s quite striking that our own domestic health crisis around opioid abuse is only now beginning to get the full attention it deserves even though the scale of magnitude is three times greater than the Ebola epidemic. I believe there are many reasons for this including the particularly heinous way that Ebola causes disease and its portrayal in popular media. At the same time, I suspect that the relatively insidious onset of the opioid epidemic and the fact that these medications are often prescribed legally by medical professionals allowed us to look the other way while it took its full hold. Either way, we now find ourselves in the midst of a national crisis that is claiming close to 100 American lives every day. By now, much has been written about Tiger Woods and his recent arrest for driving under the influence in Florida. The professional golfer was found slumped over the steering wheel of his car with the engine still running and damage to the side of the vehicle. When officers performed a field sobriety test, his breathalyzer indicated that he had not ingested any alcohol and it is likely that he had a mixture of non-steroidal anti-inflammatory and narcotic medications in his bloodstream—some reports indicate that he was taking Vioxx as well as Vicodin (in addition to other medications). In her recent report for The Atlantic, Olga Khazan does a great service using this incident to highlight the problem of drivers not under the influence of alcohol, but severely impaired by prescription medications. The Hudson Institute’s recent briefing paper, “A Strategy to Counter the Opioid Epidemic: Contain, Reduce, Extinguish” delivers a clear explanation of our nation’s opioid problem, and importantly, a comprehensive approach to address the issue. Our nation is in the midst of an unprecedented opioid epidemic. The growth of the opioid crisis has generated an outcry for more resources to fight addition and provide proper treatment. 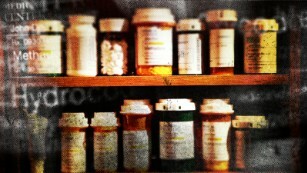 Policymakers and public health officials are increasingly using new tools such as prescription drug monitoring programs (PDMPs)—state-based electronic databases that track the dispensing of certain controlled substances, including prescription opioids—to curb misuse and reduce overdose deaths. While PDMPs have been proven to be effective, the number of prescribers using these databases in clinical care remains low.